1. Are you a New Year’s resolution maker? Or do you have any exciting plans for 2019? I view every day as a fresh start, and really, every moment as an opportunity to start new, so the calendar isn’t dictating my motivation. That said, 2019 has a lot of great things in store! 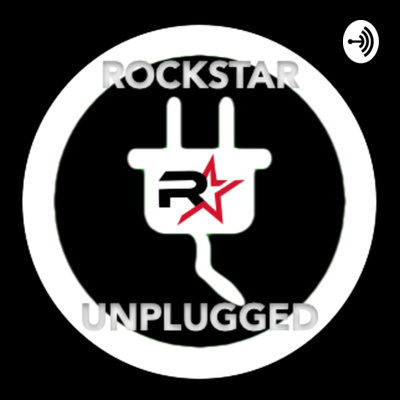 We’ve got the Rockstar Unplugged Podcast going strong on iTunes, Spotify, Google Podcasts, and just about everywhere else, plus we have some really exciting events in 2019, including our first ever Vendor Education Workshop in Nashville, Tenn., on February 25. We’re expanding to help vendors learn how to work with dealers to deliver a better experience and get better results. People can get more info at https://bit.ly/2019rock. 2. This one is tough: What’s the funniest movie you’ve ever seen? 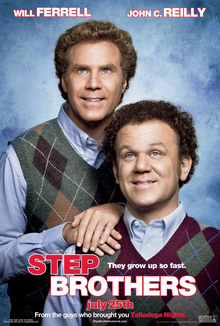 Oh man, there are so many great comedies out there, but I have to say “Step Brothers” probably tops my list. I mean, come on, the F*&king Catalina Wine Mixer … need I say more? For me the best thing about winter is that it’ll be over soon! Michigan is a cold state, so I’m not a fan of this season, but I do love that my son, Liam, gets excited about snowboarding. I disconnect from social media and literally log off. Lately it seems that more and more people are debating and arguing about their opinions and throwing jabs online instead of embracing our differences and learning from one another. The good news is, I have been embracing the ‘un-friend’ button, so many of the folks who like to cause stress have gone by the wayside. Every dealer and vendor knows that conferences are getting old. Same people, same topics they’ve talked about for five years, and everyone speaking is trying to figure out how to sneak a pitch into their session. The Rockstar Un-Conference is the first of its kind and the best way to describe what’s happening with all of our events going forward is they are like nothing you’ve ever experienced before. Think about what it would feel like if you had a rock concert with Tony Robbins. It’s educational badassery! We have keynote speakers who are paid upward of $10,000 per keynote, and they speak for free at Rockstar Events because they believe in our movement to Lead the Change. We have Olympic champions and seven-figure earners teaching our attendees strategies that work, and every session at Rockstar Un-Conference events is unique to the event! We’ve thrown out conventional conference rules and created a culture of learning that is fun and memorable using group interaction and one-on-one coaching. This next event in May is going to blow people away because it’s 100 percent focused on creating a new culture in the dealerships. Times are changing, and dealers need a new approach if they’re going to not just survive but thrive this year and beyond. Our interactive sessions like Rockstar Speed Dating, Selfie Sessions, Rockstar Round Tables, and FREE Coaching after the events are just a handful of reasons why Rockstar Un-Conference events are the future of education both in and outside of the auto industry. If people want to learn more they can visit www.rockstarevents.info.